Grovite Manny Soto shot a documentary this past Sunday and Monday at the Mayfair Hotel. 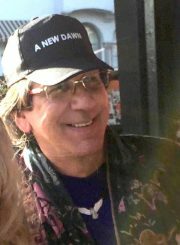 It’s called “A New Dawn” which is a documentary depicting the lives of Cubans departing and arriving into the United States as they escaped from the Castro Communist Regime in the early and late sixties and seventies. There was a cocktil party and meet and greet the night before. The documentary will premiere in the fall at the Tower Theater and may run through some film festivals around the country. Children of these immigrants are the ones who are telling the stories in the documentary. Each story will be different. The setting will be different but the longing to belong and the desire to get ahead were all the same. Well-known newswoman Ileana Bravo does the film interviews and Angie Sigler, Manny’s niece, owner of Moisture Rid Company, funded the film. 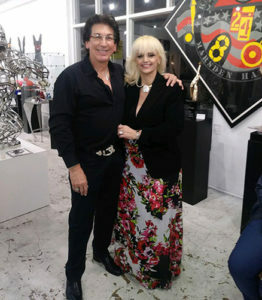 Manny and Marta Alvarez at Grove Fine Art, who sponsored the wine and champagne.